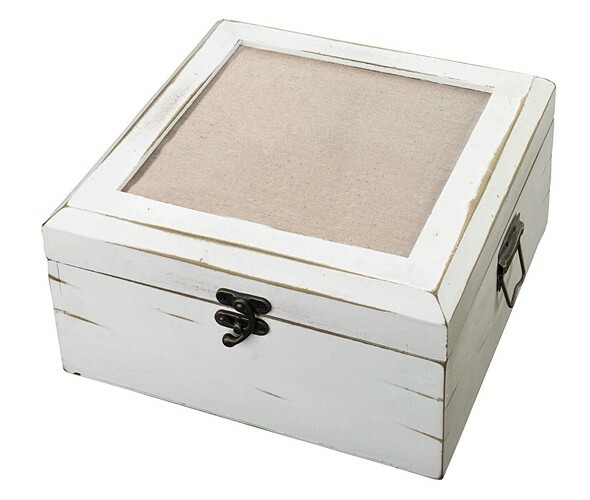 This versatile antiqued white card box can serve as an alternative guest book in which your guests write their advice and predictions on wedding wishes cards (cards not included but available separately on our website) and drop in to the card box, which box will become a treasured keepsake and piece of home decor for years to come. Made of manufactured wood (MDF). This version of the box is non-personalized but personalized versions of the antiqued wedding wishes card box may be found separately on our website as Product Codes beginning with GA506. "You have made me into a loyal customer now, Willa. I really appreciate your suggestions re: the various wedding guest book designs I was considering. Quick shipping was very important to me and also equally appreciated as you really came through on your word." Tim E.